Weeks turned into months, months turned into years. Frustration accompanied the waiting. But Boris Music kept on pushing on and plugging along. Well, the wait is over: Hansa Brewery is open. “Our official opening is Saturday, to celebrate the beginning of Oktoberfest,” says co-owner Music. “But we’re open now for walk-ins.” The 4,000-square-foot bar, restaurant and biergarten specializes in European cuisine and features an array of German-style beer brewed in the back. “We have six beers on tap now and might unveil our Oktoberfest beer on Saturday,” says Music, who broke ground on the brewery in April 2013. Oktoberfest, of course, is the Bavarian Volksfest fueled by beer that runs 16-18 days. Music is thinking much more long-term, which accounts in part for the delays in getting Hansa Brewery up and running. Music moved to the United States from his native Slovenia in 1976, when it was part of Yugoslavia. 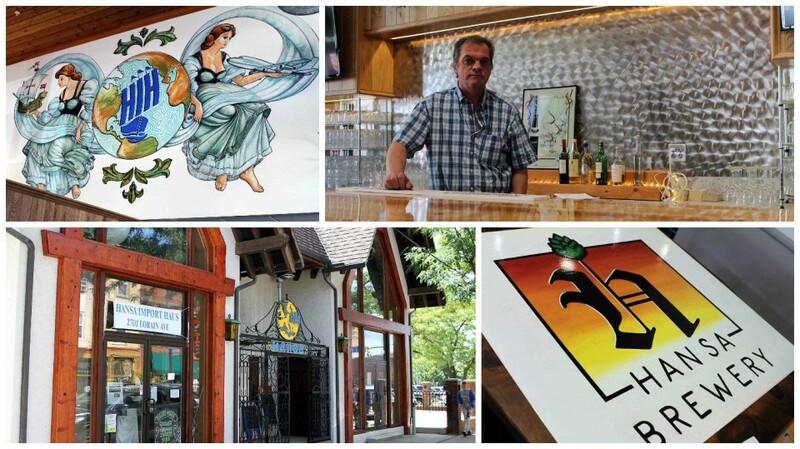 In 1978, he took over Hansa Import Haus and started pairing beer with a variety of eats. The store is like a walk into some market in Munich, with over 3,000 German imports – everything from chocolate to sauerkraut to spaetzle to meats, cheeses, cookies, coffee, wine and beer. Lots of beer. Hansa was an outpost for Germans and other Europeans looking to get a taste of the Old World. As Music noticed, they liked to taste the beer. “We’ve always done well with our European beers, and then all these breweries started opening in Ohio City, and it got me thinking…,” he said. Inititally, Hansa Brewery was supposed to include the Hansa store, a bar, restaurant and a brewery for Lasko – the largest beer producer in Slovenia. Hansa was going to be the main distributor for Lasko in the United States. That is, until April 2015, when Music discovered that Lasko would be bought by Dutch giant Heineken. There were also difficulties raising money for the $3 million project and an issue with owning both the store and the brewery. “Because of a law regulating liquor permits, I had to relinquish ownership of the store so I could open the brewery,” said Music. “These three years have been very frustrating and often demoralizing, but I’m starting to feel more hopeful the closer I get to the opening.” Suddenly, the delays seem like yesterday’s news. We specialize in European cuisine and feature an array of European-style beer.